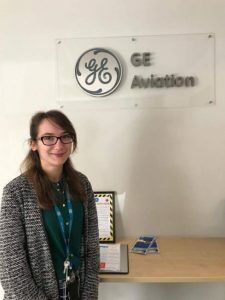 “On my placement year at Monier I gained confidence working in an industrial setting, and developed my interpersonal skills with colleagues at all levels. It has enabled me to effectively communicate results and findings to ensure that project teams work effectively as a single unit. Find out how Ella, who is studying Environmental Science BSc(Hons), is getting on during her placement year. I have been a part of the European Sustainability Affairs Team for almost seven months now and it is safe to say I am still learning; my skills are expanding and I’m having a lot of fun in the process! Right now my job roles vary week by week. I am consistently responsible for standard monthly/weekly reporting alongside supporting the European subsidiaries. Other than that I find myself completing a wide range of tasks from applying for environmental awards with our eco-products to contacting HQ (in Korea!) to discuss trade show details. I am currently creating an eco-ranking that can be used to benchmark our eco products against our competitors. I still have another 6 months left of my placement and I now understand how valuable this experience is. It has given me a better idea of where I would like to work in the future. I also feel that after working for a year I will undoubtedly appreciate my third year at University a lot more and dedicate more time to university assignments (…hopefully!). I have enjoyed my time so far and I know the rest of the year is going to fly by. It is because of these reasons that I would highly recommend a placement year to anyone who has the option. One of our final year Geography BSc(Hons) students, Jack Burrows, looks back at the diverse range of projects he was involved in during his placement year, and the job he has been offered as a result of it. 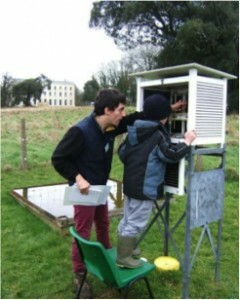 I was lucky enough to complete a placement year with the Field Studies Council (FSC) at Orielton Field Centre last year. The FSC is an environmental charity that aims to “provide an environmental understanding for all” which was set up in 1943. They have seventeen centres that range across the UK which sit in or near biological/geographical important sites. I had a wide range of responsibilities which included, but were not limited to, being a lab technician, qualified first aider, teacher assistant (see the photo), biological researcher, running the tuck shop found on site and collecting meteorological data on behalf of the MET office. And I had a biological article published as well as being interviewed by BBC Wales. Doing a placement year has been a great benefit to my university degree. Having a year out has given me a break from university life and a chance to have a feel what it would be like once graduated. I was treated as a graduate and left to plan my own work days but still work to deadlines. Not only have my existing skills improved, but I have learned new ones that have benefited my final year, such as time management which many undergraduates may find difficult. Being on a placement year, also enabled me to collect my own dissertation data and having experts in the field close by to help me. 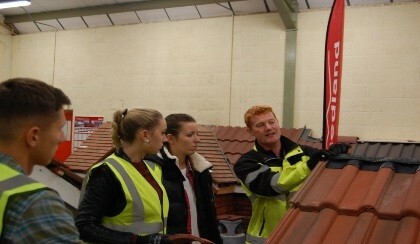 The FSC have also offered me a job, once graduated, on their tutor training scheme. I advise that students should think very positively regarding placement years. I believe doing a placement year should be made compulsory because it has benefited me a lot; not only in my final year, but once I graduate too. 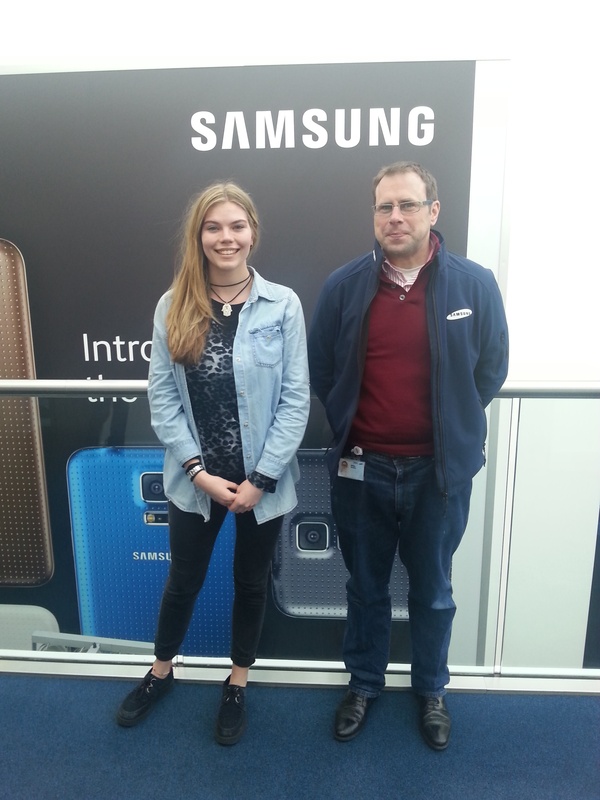 Here’s an update from Ella who is on placement with Samsung. You can read more about it by looking in our placement posts. In July my team and I travelled to Jászfényszaru in Hungary, to meet with the Samsung environmental coordinators from Europe. This conference happens once a year in order to discuss relevant environmental matters and upcoming legislation. Luckily for me this trip gave me the opportunity to meet colleagues that I now correspond with regularly and more importantly learn about topics that would be significant throughout my placement. In all honesty at the start l didn’t understand every topic that was discussed (this was mostly down to the fact that I had only been on the job for 3 weeks!). However, having this experience did allow me to ask many questions and generally help me settle into my placement quicker. So, baptism by fire worked and now I am confident to handle any inquiries!! Alongside the two-day conference we visited an on-site Samsung TV factory. It was fascinating seeing all the complex machinery used to manufacture our products. Not to mention seeing the finished product packaged in 100% post-consumer recycled cardboard! We also visited the Smart Academy which showcased the use of Samsung products as a guide to education. Overall the conference was a success. Actions were made from the discussions and I was given the responsibility to monitor their progress. This task provided me with information I would not have gained otherwise as well as keeping me updated on current topics. I thoroughly enjoyed the event and can safely say I am looking forward to the next! Here’s Ella with her placement supervisor Bill Skeates. 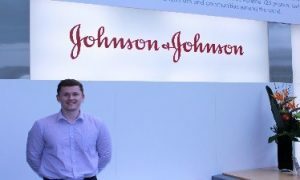 Would you like to know what it’s like to be on a placement year? Look out for regular updates from Ella Perriton, one of our Environmental Science students to find out how she is getting on in her placement year at Samsung Electronics. I am a 2nd year University of Brighton Environmental Science BSc(Hons) student currently on placement at Samsung Electronics. After attending the assessment day back in March (followed a 5.30am wakeup call!) I completed a challenging group activity, an independent task and two tough interviews. I was confident that if I got this internship it wouldn’t be easy, but would soon learn that due to Samsung’s fast paced nature I would experience and learn a lot. I did get the internships and I am certainly learning a lot. I’ll be sending updates every so often to give you an idea of the kind of things you might be able to do on your placement year.